Book one or more of these amazing excursions before you go! 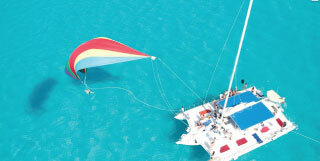 Or simply get inspired by all the amazing activities you can do while on vacation in the Riviera Maya and Cancun. Travelling with Transat Holidays? Did you know you can secure your spot on one or more of these amazing excursions before you go? Get the date you want, all while saving yourself valuable beach time once at your resort. Contact your Travel Consultant for full details and pricing. This full-day expedition visits the recently-restored archaeological site of Ek-Balam, a Mayan city that pre-dated Chichen Itza. Discover the mysterious Cenote Maya; enjoy its beautiful rock formations and great natural pool, a full 80 meters in diameter. 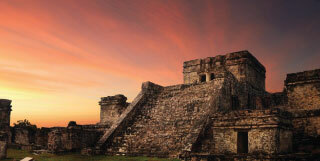 Tour the capital of the Mayan Empire, one of the richest ancient cultures in the world. Built in 600A.D., it was one of the most important ceremonial and religious centers in America. Test the acoustics in the ball court and see the well-preserved artifacts. 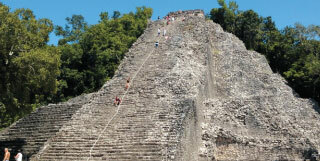 This is an exciting combination of Mayan temples and adventurous activities. Stroll through the jungle, uncover the Chimuch cave system, swim in its crystal clear water, kayak, zip-line and rappel into and across a cenote. 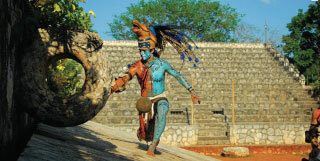 Discover the jungle through a nature walk and meet a shaman for a Mayan ceremony. 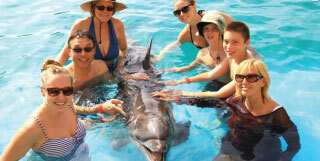 Discover the amazing experience of swimming with dolphins in their natural environment. In addition to caressing, kissing, feeding the dolphins, you will have lots of fun letting them foot-push you at full speed in this unforgettable interactive experience. Discover the secrets of a real underground river, the longest and most spectacular in the region, and travel on a fantastic journey into a world of extraordinary beauty. Sail the Caribbean Sea towards exotic Isla Mujeres in a full day of fun for all, snorkeling in crystalline waters over the coral reef. 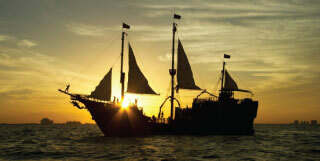 This excursion will allow you to become part of the pirate world. You will be able to see a pirate battle and be glittered by the swords in duels. The cannons battling and pyrotechnic explosions will make you feel part of this tremendous show. You will also be able to enjoy a delicious dinner and an open bar. This evening will be filled with unlimited party and fun. 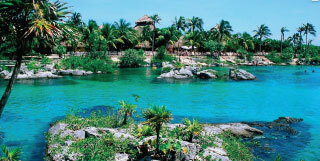 Xel-Ha has the most spectacular natural aquarium in the world for you to experience the real aquatic adventure. 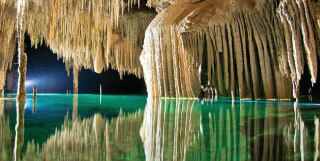 Explore this magnificent place and all it has to offer: lagoons, natural wells and ancient caves fed by subterranean rivers flowing to the beautiful Mexican Caribbean Sea of the Mayan Riviera. 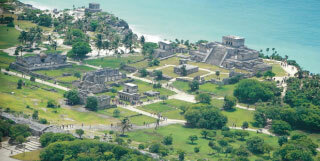 Tulum was built during the dying days of the Mayan empire, and was actually a fort. Tulum is a unique Archaeological site located on top of a cliff overlooking the Caribbean Sea. Enter the fortress from the west view to the ceremonial city, which still has paintings from long ago and take amazing photos of the ruins and the Caribbean Sea. 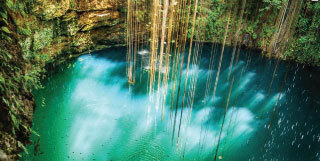 Enter into the amazing Sac-Actun cenote system, the world&#39;s longest underground river, snorkel in the Nohoch Nah Chiich cavern and ride through the exuberant rain forest on our all-terrain Mercedes Benz Unimogs. 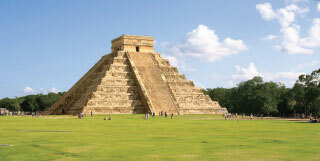 A majestic park by the sea that highlights the natural and cultural treasures of Mexico. Underground rivers, unparalleled flora and founa and more than 40 attractions will have you experiencing Mexico at every turn. Immerse yourself in a snorkeler’s paradise with a spectacular inlet and fun activities, surrounded by the harmony of the jungle in an all-inclusive mark.